Item # 313373 Stash Points: 5,495 (?) This is the number of points you get in The Zumiez Stash for purchasing this item. Stash points are redeemable for exclusive rewards only available to Zumiez Stash members. To redeem your points check out the rewards catalog on thestash.zumiez.com. From vert lines to street spots, the Sausage x Scum Scum Sport 8.25" Skateboard Deck is ready to party. Medium depth concave throughout helps aid with flick strength on flip tricks and large wheel wells create ideal foot pockets and plenty of space for vert or street wheels. Finished with wide kick tails for stable stalls and an elongated nose for improved nollie tricks this deck is truly ready to shred almost anything. 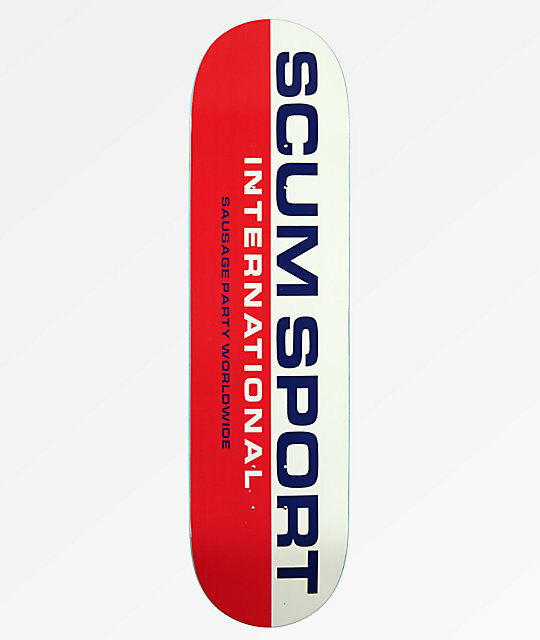 Scum Sport 8.25" Skateboard Deck from Sausage Skateboards and Scum. Official Sausage Skateboards and Scum collaboration. 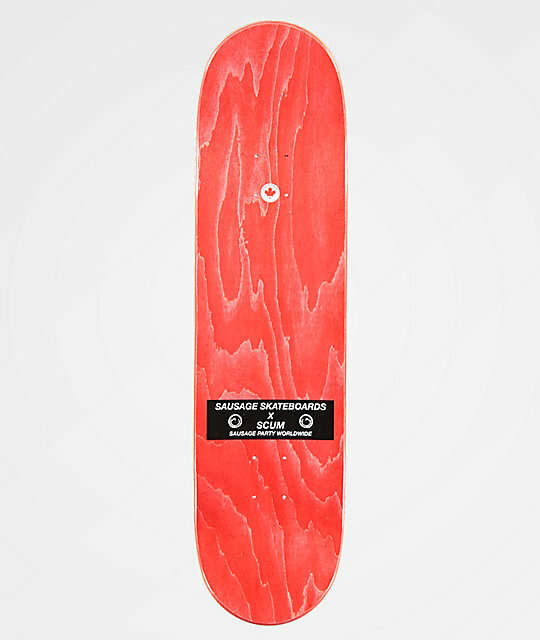 Part of the proceeds from this deck go towards donating skateboards to children in Cuba.